Books 25645 https://www.warplane.com/images/Products/25645.jpg Following the invasion of Norway by Germany during World War II, Canada served as a refuge for the Royal Norwegian Air Force. The RNAF rebuilt itself at "Little Norway," a flight training camp first in Toronto, and later at Muskoka Airport near Gravenhurst, Ontario. Canadians opened their hearts to the young Norwegian recruits, who had risked their lives in dangerous escapes from their homeland. Before long, friendships grew between the Norwegian airmen and Canadians, and sometimes romance blossomed too. When they returned overseas, Little Norway's airmen flew in Norwegian squadrons of Britain's Royal Air Force. they hunted enemy submarines off Iceland, battled Nazi fighter planes, flew bombers over Germany, and dropped secret agents behind enemy lines. In 1943, one of the Norwegian squadrons was names the top-scoring Allied fighter squadron in all of the Royal Air Force. 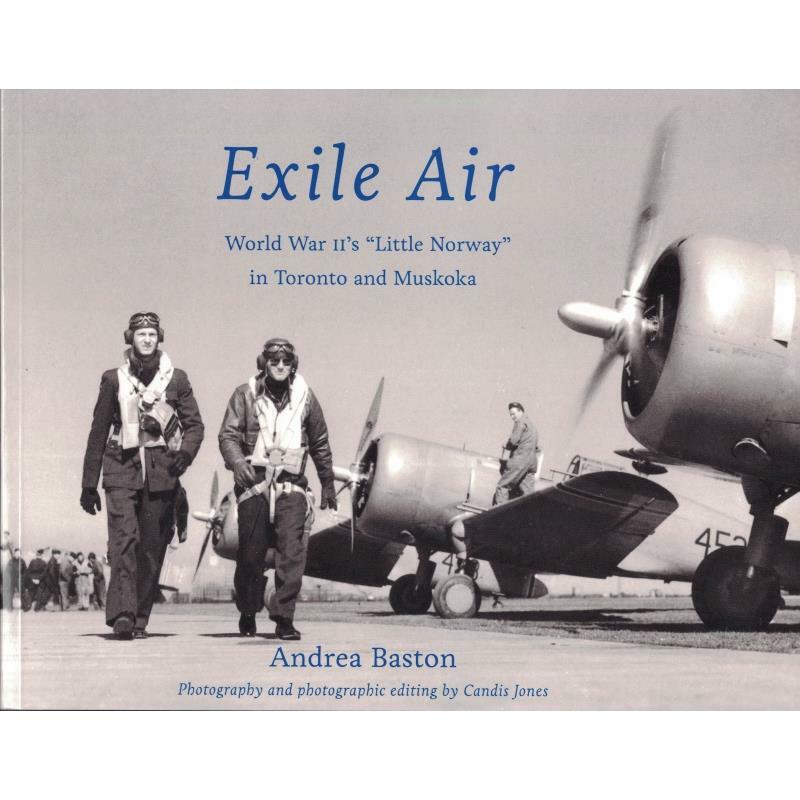 Exile Air tells a true, inspiring story from Canada's and Norway's history - that of camp Little Norway and of the young recruits who trained there. It's also a book about courage, daring, and sacrifice, in fighting forces of oppression. Description: Following the invasion of Norway by Germany during World War II, Canada served as a refuge for the Royal Norwegian Air Force. The RNAF rebuilt itself at "Little Norway," a flight training camp first in Toronto, and later at Muskoka Airport near Gravenhurst, Ontario. Canadians opened their hearts to the young Norwegian recruits, who had risked their lives in dangerous escapes from their homeland. Before long, friendships grew between the Norwegian airmen and Canadians, and sometimes romance blossomed too. Publisher: Old Stone Books Ltd.